To listen to this week’s podcast, click on the link at the foot of this page. Normally, the only time that dog attacks hit newspaper headlines is in their immediate aftermath, when tragedies have just taken place. Usually a human has been badly injured or killed, and the dogs are immediately euthanased. The headlines are often followed by calls for more restrictions on dogs and generalisations about the dangers of keeping certain breeds etc. I have always said that this is the wrong approach, and that it would be more effective to just report on events, but to take time to find out exactly what happened before commenting specifically on individual cases. Ideally, the dogs should not even be euthanased: they should be studied in order to find out what it was that set them along the course of a dangerous attack. In two recent cases of fatal attacks by dogs in the UK, it was too late to study the dogs (they were euthanased) but the results of a court case and an inquest were reported in the newspapers, and they make interesting but sad reading. In the first case, a 32 year old father was found to have failed to wake from drunken sleep as the family Lakeland-cross terrier attacked a three-week-old baby for up to 20 minutes. The court heard that the mother of the child came home at 4am to find the baby on the ground in a pool of blood, with the father asleep after drinking large quantities of alcohol. The dog could easily have been prevented from attacking the baby if the father had been sober and awake. The dog was kept in the garden and normally only allowed in the kitchen, but there were no concerns over its temperament around children; it was not a fighting dog nor used in vermin control. It was suggested that suggested the baby fell or was dragged from a baby bouncer while nobody was watching, and was mauled by the terrier, which had not had contact with the newborn before and may have been driven to attack by the baby’s uncoordinated” movements. The father was jailed for 21 months and banned from keeping a dog for 7 years. He was said to be devastated about the baby’s death. His defence solicitor stated “Nothing he can do can turn back the clock and bring back his own child.”. 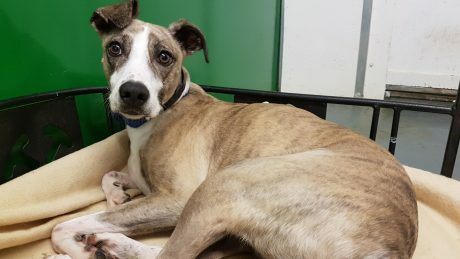 The judge said “I am satisfied that your lack of control of your animal was due to the influence of alcohol and your selfish decision to drink to excess after a hard day at work.” So, in summary, this was was not the fault of the dog: it was lack of parental supervision which caused the baby to die. The second case was bizarre: the Staffordshire Bull Terrier dog was found to have high levels of crack cocaine in blood when it attacked and killed its 41 year old male owner. The attack was witnessed – but not filmed – by a BBC documentary crew who were making a programme about drugs at the victim’s home in London. Apparently the man had started to have a seizure after taking cocaine and the dog had then attacked him, latching onto his throat. He died of suffocation and blood loss. A veterinary toxicologist told the inquest that urine samples from the dog contained high levels of cocaine and morphine. It was likely that these drugs made the dog become very excited and agitated which then led to the attack. 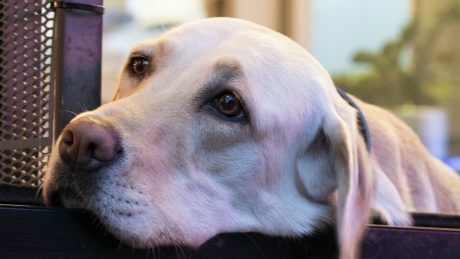 Dogs often become agitated or upset when they witness humans having seizures, and this agitation morphed into aggression in this case because the dog was so fired up with drugs. The reports on these two incidents clearly demonstrate why we should not rush to judgement when dogs attack humans – there is often a back story that only comes out in time, and the dogs are often innocent parties in a story of human tragedy. In my opinion it is really important that inquests and court cases that follow dog attacks need to be reported widely and discussed in the media so that any lessons can be learned. Whenever this topic comes up in Ireland, there are calls for Ireland’s restricted dogs legislation to be changed. 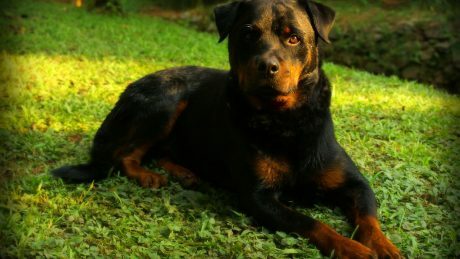 Bizarrely, some even say that the laws (which insist on muzzling of certain breeds in public) actually cause more dog bites because people are more likely to mistakenly trust dogs that are not on the list. There is no evidence for this being the case: dog bite incidents happen more or less often for a range of reasons, and this could never be narrowed down to one specific cause as has been suggested. The current dog legislation is not ideal, but it does give local authority vets the legal power to force certain irresponsible people to control specified large strong dogs in specific ways (muzzle in public, on short leash held by a person over the age of sixteen. ) Until alternative legislation (perhaps based on an individual dog’s track record) is introduced, there’s no appetite to change the current rules. As a point of interest, the Irish laws would not have prevented either of the UK attacks, nor the recent dog attack in Galway where a woman was killed by two dogs. In all these cases, the attacks were on private property: the restricted breed legislation only applies to public areas. A brief update on the Galway case in June 2017 where a woman was tragically killed: it is impossible to comment in detail because there are certain aspects of it which may be contentious – there will be an inquest in the near future when all the facts will come out and that will be the right time to discuss this in detail. It can be said that the dogs were Dogo Canario, also known as Perro de Presa Canario or. the Canary Mastiff. These are Bull mastiff type dogs, so arguably may be covered by restricted breeds legislation in Ireland (“strains/ cross breeds of Bull Mastiffs”). They are huge, powerful dogs, with a number of reported instances of humans being attacked by them. 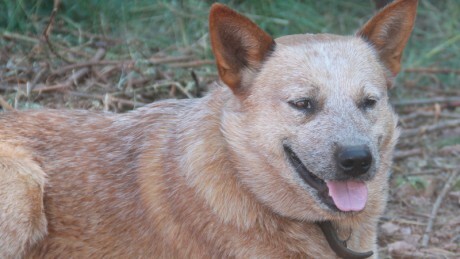 Importation and sale of the breed is prohibited in Australia and New Zealand but not in the UK or Ireland. In the Galway case, the two adult and one young dog involved were shot dead by a neighbour in the immediate aftermath of the discovery of the dog attack.This would be the natural reaction of anybody who came across a situation where a dog seemed to have killed a human and was still roaming at large. So what can be done about dog attacks? If any lesson can be learned from these cases, it is that people need to act responsibly around dogs at all times. Children should never be left unsupervised with dogs of any kind. And even adults need to be cautious when with any large, muscular dog, in the knowledge that they have the potential to present a risk to human health and safety. The following questions were asked by listeners: to find the answers, listen to the podcast below. My Springer Spaniel is requiring a TPLO. Can you tell me what to expect and how extensive is her recovery process. We got a puppy in June. She is now 5 months old. She is a great long awaited member of the family. She comes with one problem. Every time she gets into the car she immediately starts to drool with anxiety. On 90% of journeys she then vomits. She comes to work with me everyday. She gets sick on the way and the way back. I don’t want to leave her at home alone everyday, but can’t continue as we are. Would love advice. Shane, Glenageary, Dublin.